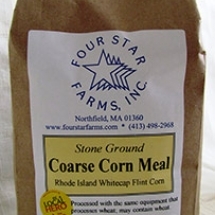 Our flour and corn meal are freshly stone ground in a 20″ Meadows mill and packaged to order weekly so that you receive the highest quality product we can provide. Our grains are all non-GMO and grown right here at the farm. 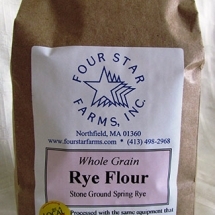 Whole grain flour is exactly that, we put the whole grain into our mill and what comes out; the flour, the bran, and the germ is what gets packaged. 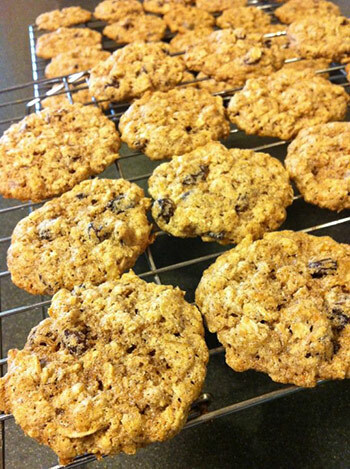 The inclusion of the bran yields a coarser, more varied texture and a stronger flavor. Bolted flour is whole grain flour that has been sifted through screens to remove larger pieces of bran. 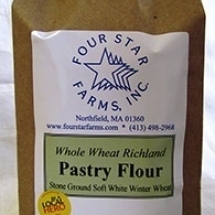 This results in a finer, more consistent texture similar to a conventional all purpose or pastry flour. Corn Meal and Corn Flour differ in terms of their texture/coarseness, with the corn flour being extremely fine (flour-like) and our coarse corn meal resembling grits. 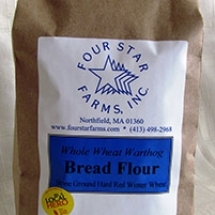 There are so many benefits to using flour that is freshly milled, with the most important being the flavor and aromatics! If you mill at home, you’ll know exactly what we’re talking about; with noticeable flavor differences in your baked goods. Secondly, milling to order helps us to reduce food waste. From week to week, our customer orders can fluctuate and we’re able to mill and briefly store what is needed without sitting on stockpiles of aging flour (what we mill in a given week is either delivered or shipped within a day or two of milling!). While this might not be the most time efficient way to mill, our end product is exactly what we want our customers to have, flour that has been transformed from a basic ingredient to the star of whatever dish you’re baking.